Don’t you ever get tired of trucking around your Serato control vinyl in those beat up record sleeves? Time to act like a grown up and put your valuables in a wallet. 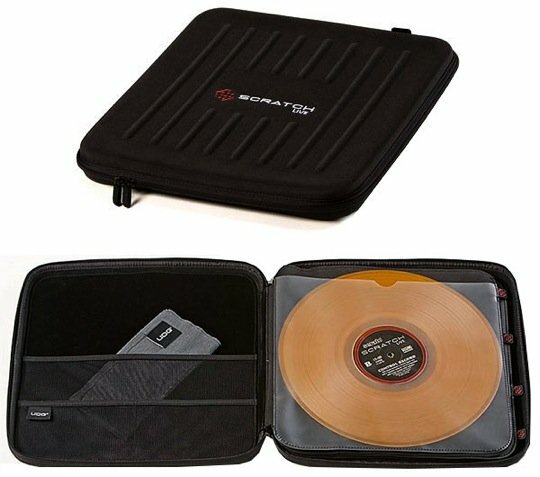 UDG has come up with an Serato control record wallet that holds up to 8 pieces and is made with an EVA durashock/ballistic nylon exterior, rubber sleeve marks, and easy grip zipper pulls! I use Native Instruments Traktor and before that I was all vinyl. I would like to buy two of these, now! Unless you have wallets that can hold more thant 8 vinyls?